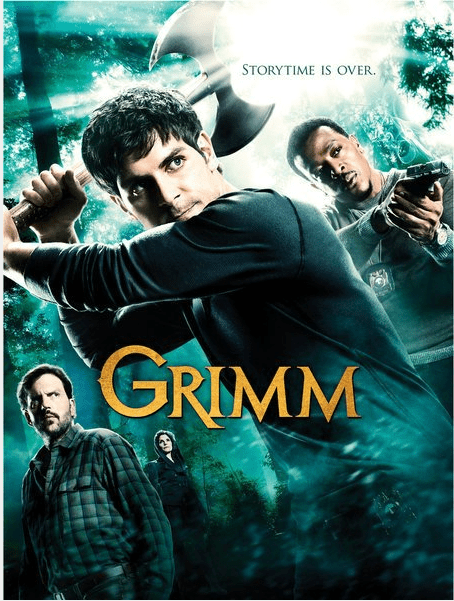 “Grimm” is one of those shows that I started watching and just kept on even though I wasn’t sure where it was going. Was it going to be a straight up drama with a touch of the supernatural or a show that relied heavily on the supernatural to drive the plot? I have to admit that towards the end of season one I still wasn’t 100% sold on this series, but I stuck with it. A show has to take a serious dive for me to give up on it after I’ve invested a lot of time on it (“Once Upon a Time” managed to achieve this goal halfway through season two). Many shows start out with a great premise (“Heroes,” “Once Upon a Time”) but when season two rolls around they can’t develop it farther so instead make it into something ridiculous. I feel that “Grimm” has done just the opposite. I feel that it started with an “OK” premise and built on it. It very easily could have become silly (and there are a few times that it has flirted with the comical), but it built its world and allowed there to be a “bad” that isn’t always bad and will never truly go away (the worst mistake a show can make is to get rid of the bad guy and not have a believable evil replacement). It doesn’t have the reality that shows like “The Walking Dead” have, but it does often pull off the cop drama with a twist. A really odd twist. So here’s the premise: A hard working detective finds out after his aunt dies that he is a Grimm. 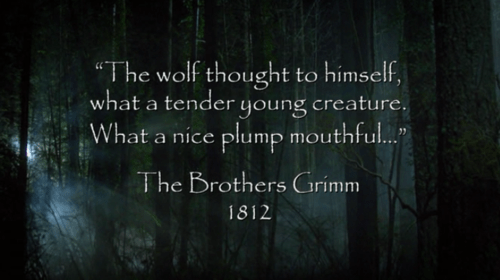 A Grimm is a person that can see wesen (pronounced “Vesen”) or supernatural animal like creatures. Historically speaking Grimms kill wesen and then catalog what the wesen looked like, what they do and the best way to kill them. However, the detective has trouble justifying just killing people because of who they are so he ends up befriending some of the non threatening creatures. A reformed wolf like creature becomes the detective’s greatest help in navigating the supernatural. Then it follows the monster a week set up, many times incorporating fairytales into the plot, with the Grimm sometimes helping wesen and sometimes killing them (or neutralizing the danger). 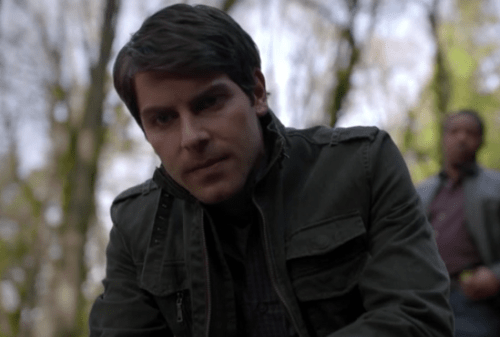 The main character Nick Burkhardt (David Giuntoli) is convincing as a man struggling to do good with this strange gift he has received. He’s also pretty hot which is always helpful when trying to get fangirls to become obsessed. Monroe (Silas Weir Mitchell) is great as a supporting character for Nick. He’s funny, knowledgeable, supportive, and handily can read all those German instruction books that Nick inherited. In season 2 they managed to figure out how to work in a love story for Nick which was sorely needed in season 1. When wesen show their true colors the turn into these half human/ half animal things that a lot of times it just looks weird. Like not a big enough budget weird. Hopefully they can improve this in seasons to come. There needs to be a little more humor. Monroe does well with this, but sometimes this tends to be more slapstick than witty humor. A token smartass character would help. This one is the most important. The papyrus font at the beginning of every episode has to go! Really it’s horrible. The only thing that would be worse would be if they switched to comic sans. Seriously I almost stopped watching this show solely because of this. If there are blogs dedicated to how bad a font is don’t use it! This show has great potential and season two has just expounded on all the good points. So if you haven’t watched it or gave up on it last year, revisit this show. I was pleasantly surprised with where they have taken the show this season and it has made me excited for next fall. There also is something delightfully campy about the show which really adds to my enjoyment. So when you are missing new television over the summer give it a chance (Season one is free on Amazon Prime and usually the current season becomes available before the new season comes out). Let me know what you think!